A Notre Dame chemistry professor well known for his contributions to the field of photoelectrochemistry and renewable energy research was honored with a tribute issue to him in one of the four journals of The Journal of Physical Chemistry, published by the American Chemical Society. The June 28, 2018 issue featuring Prashant V. Kamat, the Rev. John A. Zahm, C.S.C., Professor in the Department of Chemistry and Biochemistry and concurrent professor in the Department of Chemical and Biomolecular Engineering, intentionally coincided with his 65th birthday just a few days later. In addition to a tribute article about Kamat and his own written autobiographical notes, the edition contains 111 papers by others in the fields of renewable energy research, nanoscience, and nanotechnology. Only about a dozen of the 156 issues published each year in the Journal of Physical Chemistry A/B/C are “Festshrift,” or tribute, issues. Gregory Hartland, also a professor of chemistry and biochemistry at Notre Dame and a senior editor of The Journal of Physical Chemistry, edited the papers for Kamat’s Festschrift issue. “This is an extraordinarily large number of papers for this type of issue, and shows the appreciation of the physical chemistry community for Professor Kamat’s work,” Hartland said. Of more than 450 publications Kamat and his collaborators have published over the years, 170 have appeared in The Journal of Physical Chemistry. 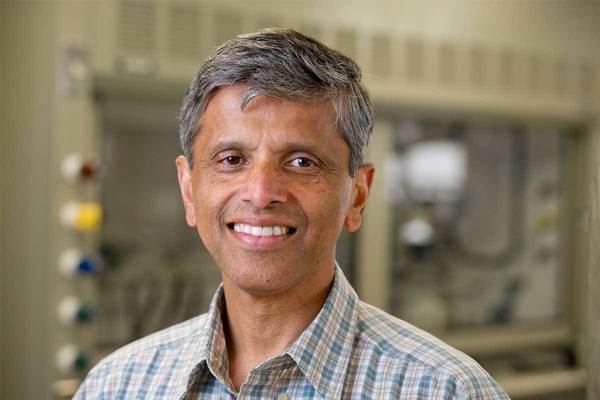 In particular, Kamat’s early work published in the journal, on photochemistry of semiconductor nanoparticles, has become highly cited, and his work is recognized as a major breakthrough in the field. Kamat’s research also aligns with the University’s mission to harness discoveries that enhance human well-being. Kamat, who is affiliated with Notre Dame’s Center for Nano Science and Technology, ND Energy and the Notre Dame Radiation Laboratory, has served in various roles within the journals of the American Chemical Society. He was the senior editor of The Journal of Physical Chemistry from 2003-2009, and deputy editor of the Journal of Physical Chemistry Letters from 2010-2016. He is currently serving as editor-in-chief of ACS Energy Letters. He credited his students and fellow researchers for his lab’s success, noting that new research directions blossom from the discussion of challenges. Kamat also acknowledged long-standing support by the Department Of Energy (Basic Energy Sciences) and other funding agencies to conduct research at Notre Dame. Originally published by Deanna Csomo McCool at science.nd.edu on July 09, 2018.